What a great and inspiring song. As we work hard in life, we sometimes need to catch our breath and we become stronger. When you mature in a positive direction you realize how valuable your time is. I love my life and I am grateful that everything I put into this world I get back. So much is going on in my life that sometimes I need to take a step back and catch my breath. What are some great things you want in your life? Do you need to catch your breath going after them? Have a great weekend, I love all of you. Let the Gratitude spread. Afro Celt Sound System is a band I discovered many years ago and I am beyond happy that the song I love is On YouTube. For those that understand or know the lyrics this song could carry a notion that is not positive. However, as I have said many times positivity can be found in any negative and anywhere. To me this song, little did I realize, represents my current journey of positivism. I know I found this years ago but things fall into our lives and we may not know until years later. I flipped this song on again, few weeks ago and it inspired me completely. We fill our heads with drama, pointless thoughts, and negative things. The only way to push it out is to push Positives in. This is what I have been doing. It is amazing how much more room for positives there is in your head and in your life when you push everything else out. This song is kind of a reflection of the past when I was dependent on such simple negative things but now I choose the harder journey to find much greater things for my life. If this song does not lift you up to a better place you really need to listen to it again. There was a time when I still needed the old Marc but now there is no time or room for him anymore. Better things have already been planted in my past, I live to love everything life has to offer now, and my future will make the stars in the sky jealous. No matter where I look its positive. You can’t stop me. Can you put your life into a position where you are unstoppable? Do it NOW! I love songs with no words. It gives you a chance to create your own story with beautiful music. When I listen to this song “Storm” by Alexander Perls it really makes me think about my life transforming right before my eyes. All the troubles are washed away from you and the pure rain is falling and filling you with all the greatness to come. The next time it rains go outside with this song and just look straight up. As you hear this song and feel that positivism hitting your face and soaking right into your soul, you then can make that great connection with your life. I hope you can find inspiration in this song as I have. I hope everyone has a great weekend. If you have not already share my blog with your friends and family and check out an like my Facebook as well. Much gratitude to all of you. This song has inspired me from the first day I heard it. This idea is so simple. The bird flies around and around the cage most liking lost and trying to find a way out. If you open that door it will for sure fly out. If you own a bird you know that it is continuously plotting to get out of the cage. It is determined to get out of that cage. In our lives we tend to be very lost in a routine. Get up, shower, go to work, etc.! When we have a problem it tends to circle until we solve it. The idea of the caged bird is to never give up because one day that door is going to open for you and you need to be ready to get out and find your way! You need to be ready to solve that problem in your life. Any goal in life you are trying to achieve you may have to try again and again until you finally get there. You may have to do the same thing over and over again just to get where you want to be in life. Now I do not know what Lindsey’s real meaning to this song is for her, but to me it means never giving up. It means there will someday be an open door that you better take. A chance that was never there before, or always there and you finally figured out how to take it. It means to always be ready even if everyday has been exactly like the last there still is the chance that the next day will be different, it will be better. Most birds don’t sit at the bottom of the cage, they are up high figuring out how the heck to get out of that cage. Just the same in life; we shouldn’t be sitting at the bottom of it doing nothing we should be reaching up as high as we can to see what kind of opportunities we have with our lives. Beside everyone knows what is on the bottom of a bird cage and we certainly don’t want to be walking around in that part of our lives either. Your chance to soar is coming are you ready for it? Are you reaching for it? Please take some time to listen to the song it is beautiful and while you are listening please just take a moment and think about where you want to be in life and where your life is going now. Normally on Fridays I will pick a famous quote and talk about it, today I would like to change it up. In honor of the passing of a great man that has accomplished so much in his time and inspired so many, I would like to share a few things about Nelson Mandela. I need not say much myself. His quotes, his videos, his very image speaks for so much inspiration. I dream to carry an impact that this man has made on the world, to my end of days as he has. I seem so small next to what this man is about, but in time I shall inspire many more. “I learned that courage was not the absence of fear, but the triumph over it. The brave man is not he who does not feel afraid, but he who conquers that fear.”-Nelson Mandela. Once a fighter always a fighter! Conquer your fears, and learn from them. “For to be free is not merely to cast off one’s chains, but to live in a way that respects and enhances the freedom of others.”-Nelson Mandela. Respect and be grateful for the freedoms you have. Make a difference not only to yourself but to those around you and the world you live in. “It always seems impossible till it’s done” -Nelson Mandela. This is so true, when things get hard they seem impossible right up till the time you figure it out. Don’t ever give up. 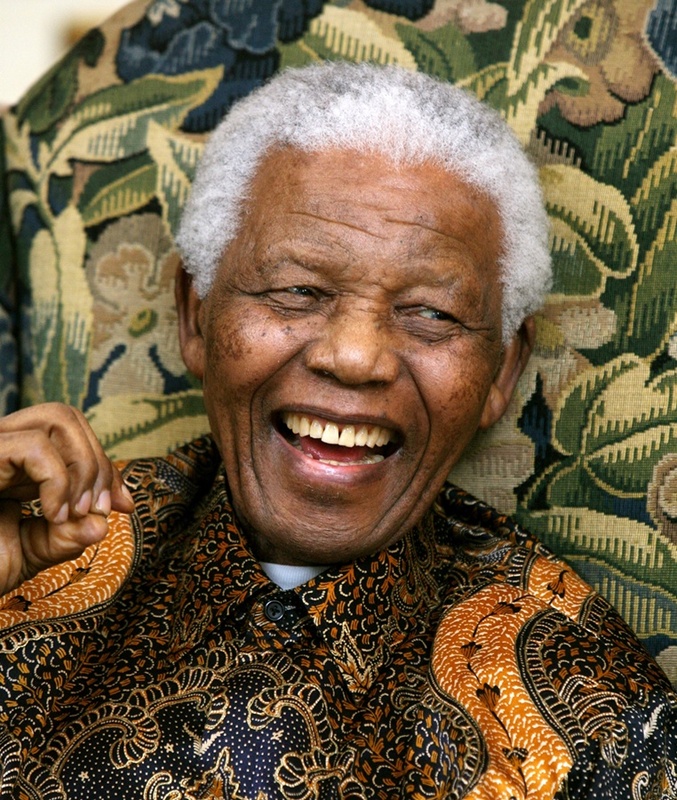 Nelson Mandela may be prepared to die but is our world prepared to lose him? Rest in peace Nelson Rolihlahla Mandela. You will never be forgotten, you will continue to inspire those that never even had the chance to live when you did. Today’s post is a journey. I hope that you all have the time to take this short journey. It will inspire you, give yourself the time to read on. Now I know some of my posts can be a bit lengthy but the way I see it if you make time to read you make time to succeed! Now who doesn’t want success? If you complete this small journey today I only ask one thing. Tell me one major thing you are working on or working toward in your life. A question to be refined at the end. When you were a kid growing up, what did you want to be? Be an astronaut, a chef, or even the president. What did you want to do with your life? Scale the tallest mountain, meet someone famous, or even travel the world. How many of your dreams have been fulfilled? One of the main things holding us back from what we desire most is money. What if money did not matter? Your options are limitless, you can be whatever you want to be and do whatever you want to do. Our own human nature and society has groomed us into the idea of earning a living to just simply earn a living. Very few of us go on earning a living doing what we love. Most of us continue doing what we are doing just to continue doing what we are doing. No that is not a typo think about it! Are you in a job just for the money? Do you wish you could be doing something different? Stop wishing and make it happen. This is your life. This whole concept has been a huge part of big changes in my life and only now has it come into the light for me. I have been a professional graphic designer for over 10 years and all of the sudden I lost my passion for it. I was always looking for that better job with better pay. Aside from design my ultimate goal has always been to become a motivational speaker. I never saw money in it so it got kind of lost inside me. The struggles of life have surfaced it and brought back a beautiful dream. My life path is changing to so many wonderful things I can hardly keep up. People keep asking what my main view point will be as a motivator. I have Ideas of course but I still don’t have a solid answer.I do however have a monetarily free field of vision to take me there to find out. None of us seem to give ourselves enough credit and that is were our dreams fall short. You have to believe in yourself and you have to believe in the path that takes you to the things you dream about. I refer you to another video of a song I posted awhile ago. I will be standing in the hall of fame and even if it is one person at a time everyone will know my name. I can go on for hours about all the new thoughts and things in my life but everything I say and what Alan Watts says in his video is basically FOLLOW YOUR DREAMS! If you put money first in your life you are never going to achieve your goals past looking for more money. You can be who you want to be if you believe in it enough, if you are determined enough. Your life will evolve around your passions. Love your life and do what you want with it. NOW IT IS YOUR TURN! Post a comment of one thing (or several) you would like to do if money did not matter. The inspiration for this post was started from Upworthy where I found the video by Alan Watts. What a truly amazing site. I have also added share buttons on the bottom of my posts. If you like what you read, please share this with your friends. THANK YOU SO MUCH EVERYONE I am grateful for your following and support. Enjoy the rest of your week. My friend Christie showed me this. This remix is brilliant. For those of us who grew up with Mr. Rogers, you can really appreciate this even more. Hall Of Fame – The Script feat. will.i.am. Coming across this song was another small venture for me. As you know I am on a quest to love everything. I started listening to my least favorite music, Pop music. I really like the energy and the beats that Pop music presents. Needless to say I have been listening to a lot of Pop music to and from work, and this song came on. I was like “Ohhh Standing in the Hall of fame, that sounds awesome.” Yeah I was talking to myself! Anyways, When I got home I found this song on YouTube with the lyrics. Sense I found this song I have been listening to it every day! This song really speaks to me so much, and to this day it strings up some powerful emotions. Strings up memories of who I used to be, who I am now, and who I will be in the future. I will be the best, I will move a mountain, and the world is going to know my name. At 32 I have a lot of life left in me. I have never been this positive in my entire life and it still gets stronger everyday. My smile gets bigger every day. I am reaching for the top, but not by myself. I am gonna carry everyone with me that wants to go. So many people have been so helpful in my life and I am so grateful for it. When I fall, when I fail, when a hard day brings tears to my eyes, when I look to far into my past, ALL OF YOU ARE GOING TO BE THERE to help me. To help me get up, to cushion my fall, to wipe my eyes, and tell me to turn back around. I’m in uncharted waters swimming as hard as I can, I can see the shore and so many life boats along the way.